Addiction is widely understood by most as a disease but the stigma surrounding addiction is still prevalent throughout society. Misinformation and misunderstanding, such as that people choose to be addicts or alcoholics or that those afflicted with the disease of addiction deserve fates of overdoses and death, run rampant throughout American society. Recently, movements like Faces & Voices of Recovery, Young People in Recovery (YPR), organizations like Shatterproof and the documentary “The Anonymous People” have brought the conversation more into the public realm of discussing both addiction and recovery help in order to help break the stigma surrounding substance abuse. The stigma surrounding addiction affects not just the addict and alcoholic, but their families, our communities and our society at large. Shame, fear, guilt and embarrassment associated with the stigma of addiction keep those in need from seeking help. In order for recovery to happen, those in need must seek help through treatment and in order to seek necessary help the barriers surrounding addiction stigma must be removed by those in a position to do so. Maryland Addiction Recovery Center believes in doing our part both in our local Maryland community and nationally to aid in this movement. The owners of our center are in long term recovery. Our management team is part of the leadership of the Maryland chapter of Young People in Recovery. Additionally, Maryland Addiction Recovery Center works tirelessly in the local Maryland community with organizations such as NCADD-Maryland, The Nikki Perlow Foundation, The Daniel Carl Torsch Foundation and media outlets such as Mike Gimbel’s “Straight Talk” television show and “PressBox The Fantasy and Reality Show with KZ & The NFL Chick” on 105.7FM The Fan to talk openly about addiction, treatment and recovery. Addiction in Baltimore, especially the heroin and prescription drug epidemic, is everywhere and MARC is doing what we can to break through the shadows, bring addiction and recovery help into the public realm and have an open discussion surrounding addiction, treatment and recovery so that the stigma can be broken and those suffering can feel okay to find the help they desperately need. Addiction affects everyone. There is no one that hasn’t been touched by addiction, whether they know it or not. Addiction doesn’t discriminate. Men and women. Rich and poor. All sexual orientations. All races, colors, creeds and religions. 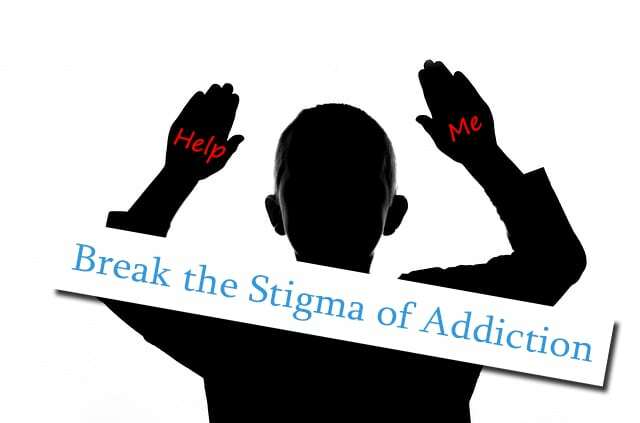 Those of us that have been touched by addiction need to speak openly about it in order to break barriers and overcome the stigma still associated with this deadly disease. If you or someone you know is in need of help because of drug and/or alcohol abuse, please give us a call. Maryland Addiction Recovery Center offers the most comprehensive addiction treatment in Baltimore, Baltimore County and the entire Maryland area. If we aren’t the best fit for you or your loved one, we will take the time to work with you to find a treatment center that best fits your needs. Please call us as (410) 773-0500 or email our team at info@marylandaddictionrecovery.com. For more information on all of our drug and alcohol addiction treatment services and resources, please feel free to find out more about our Maryland treatment center.